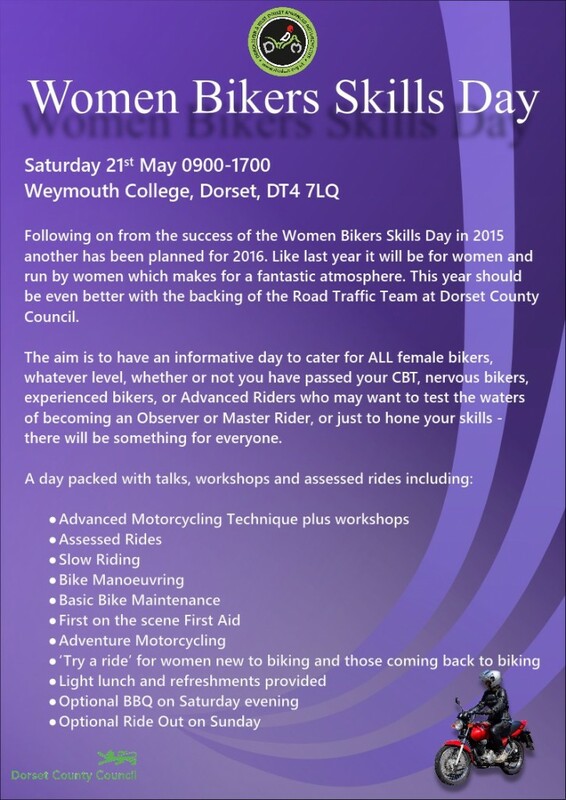 Dorchester and West Dorset Advanced Motorcyclists (DWDAM) has another Women Bikers’ Skills Day planned for next year following the success of the one it staged in 2015. It will again be for women and run by women to encourage those who might otherwise have thought advanced riding skills were not for them, and it makes for a fantastic atmosphere. 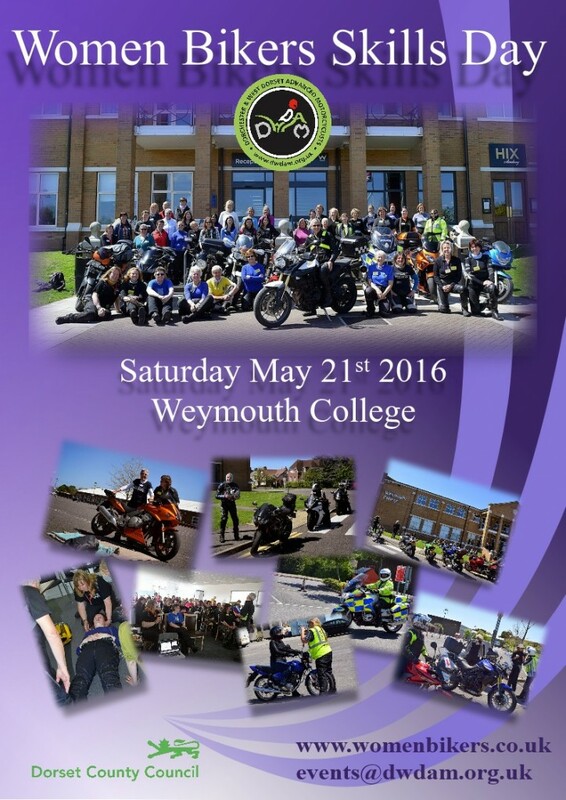 It will take place on Saturday 21 May at Weymouth College and be supported by the Road Traffic Team at Dorset County Council.